Calendula officinalis belongs to the same Compositae family as Arnica and Bellis perennis. It is a native of Southern Europe and not to be confused with Tagetes, although they both share the same common name of marigold. 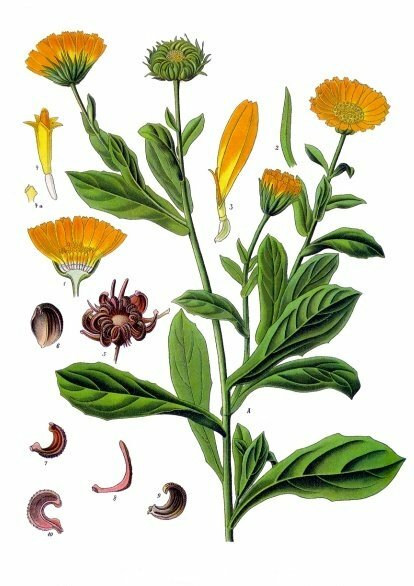 Calendula officinalis has been used in homeopathic medicine for over a hundred years in both oral and topical preparations. Known as the ‘homeopathic antiseptic’. Suitable for all cases of injuries where the skin in broken. To promote the granulation and closing of wounds/cuts. Lacerated and suppurating wounds. Post-operative healing of incisions. A most remarkable healing agent, applied locally. Useful for open wounds, parts that will not heal, ulcers, etc. Promotes healthy granulation and rapid healing by first intention. Great disposition to take cold in damp environments. 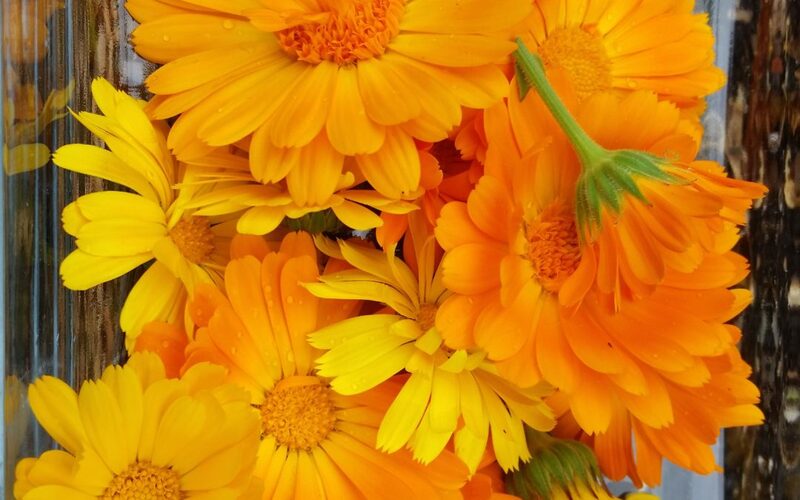 Calendula belongs to the same family as Arnica and Beliis perennis. The special type of wounds indicating its use are lacerated wounds and suppurating wounds. It is the homeopathic antiseptic- it restores the vitality of an injured part, making it impregnable against the forces of putrefaction. Promtotes granulation and prevents disfiguring scars. Promotes favourable cicatrization with the least possible amount of suppuration. In all cases with loss of soft parts, when no union can be effected by means of adhesive plaster. External wounds and lacerations, with (or without loss of substance; articular wounds and clean, surgical cuts.